WASHINGTON - For the first time in nearly 30 years, the Senate has confirmed a judicial nominee without a seal of approval from a home state senator. 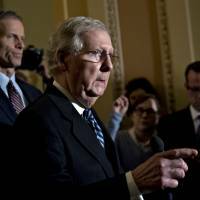 The 56-42 vote Tuesday to confirm David Stras of Minnesota demonstrates anew Senate Majority Leader Mitch McConnell’s resolve in getting President Donald Trump’s judicial nominees confirmed. The Republican-led Senate went ahead with a committee hearing and a vote for Stras despite one of his home state senators, former Democratic Sen. Al Franken, declining to return what is referred to as a “blue slip.” Franken’s replacement, Sen. Tina Smith, also opposed his confirmation to the U.S. Court of Appeals for the Eighth Circuit. Franken had said he feared Stras would steer the already conservative court further right. Minnesota’s other senator, Democrat Amy Klobuchar, voted to confirm Stras. The blue slip is a 100-year tradition designed to foster consultation between a president and senators about judicial nominees from their home state. Over the years, senators could derail a vote by not returning their blue slip. The last time a judge was confirmed without two blue slips was 1989. Republicans have made it a top priority to confirm the president’s nominees, particularly those who will serve on federal appeals courts. 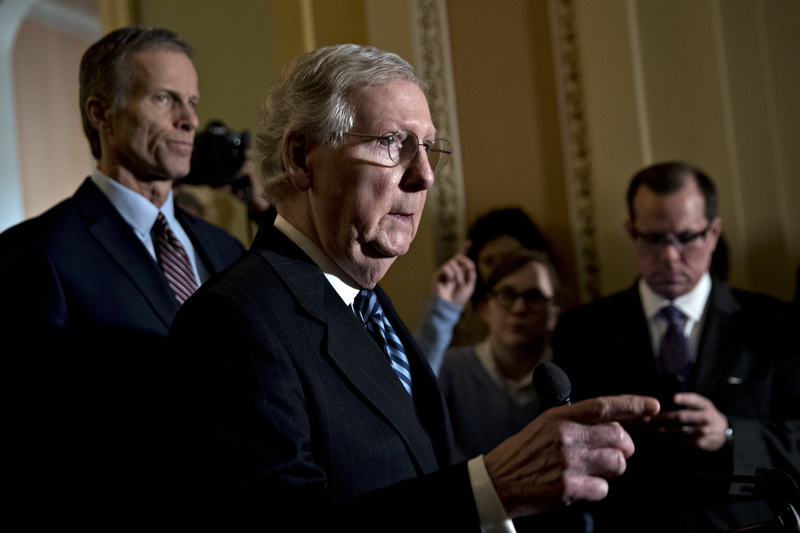 With Democrats slow-walking many of Trump’s nominees, McConnell said last October that the blue slip process should not be used to “blackball” nominees. Senate Judiciary Committee Chairman Charles Grassley, R-Iowa, has said the blue slip was not supposed to serve as a unilateral veto of a nominee. He said presidents should consult with home-state senators, but he would not let senators “abuse” the blue slip to block qualified nominees. He said he was following the custom set by most of the chairmen of the Senate Judiciary Committee over the years. But Democrats counter that Republicans used the blue slip to block about 18 nominations from President Barack Obama. The hard-and-firm denial of a hearing for a nominee without two blue slips was fine with Republicans then. They said the policy shouldn’t change just because the person who sits in the White House is different. Stras has served on the Minnesota Supreme Court since 2010 and is on the president’s short list of potential Supreme Court nominees.